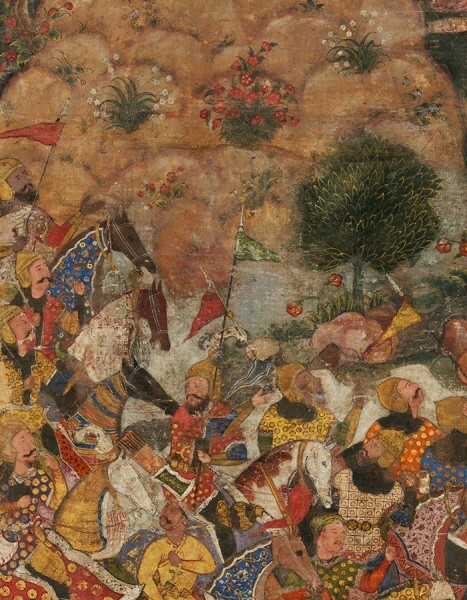 Leaf from a Shah Jahan Album. Imperial Mughal. 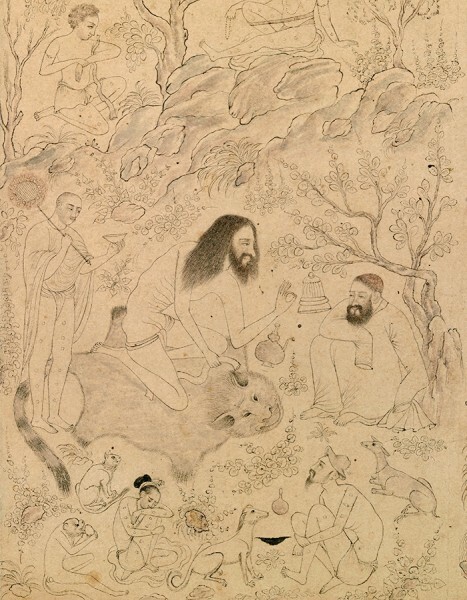 Painting circa 1615; Folio circa 1630-50. Verso: A Nasta’liq Quatrain. Border attributed to The Master of Borders. 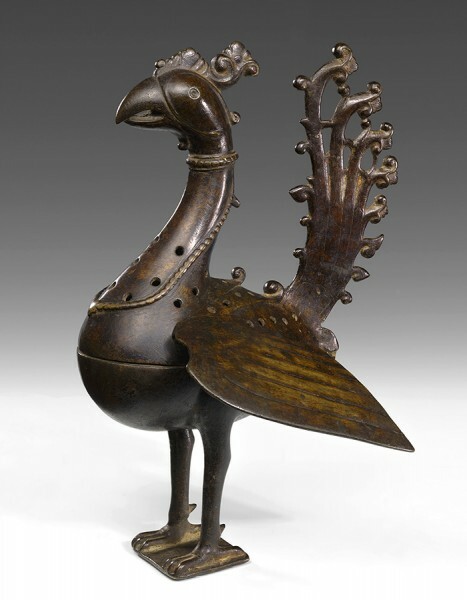 Deccan, Sultanate India, late 15th early 16th century. Zebrowski, Mark. Gold, Silver & Bronze from Mughal India. 1997, page 94, plate 87. Bikaner or Deccan, India, circa 1660-80. Opaque watercolour and gold on paper. 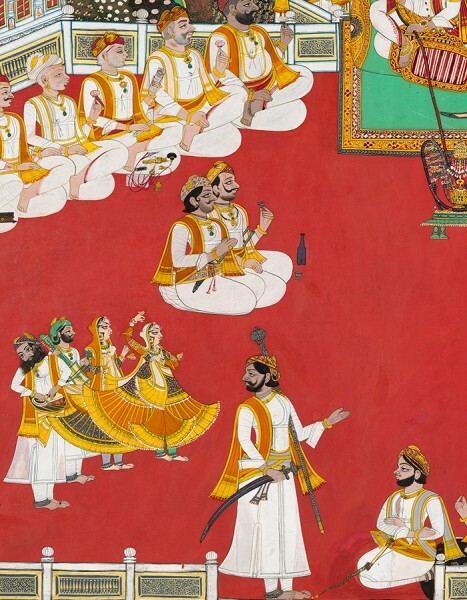 Prahlad Bubbar is pleased to return to Asia Week New York with a carefully selected group of Indian miniature paintings and drawings, works of art, and 19th century photography. Light is a crucial component of classical Indian culture, its presence materialised in different ways and through diverse interpretations in the visual arts. Its symbolism is connected to divine knowledge, or elevated states of being suspended above the plane of the material world. Illuminated borders, gold, moonlight, white architecture, pearls and silver all symbolise light and brightness. Artists in India have long used gold and silver as metaphors for light and the divine, by incorporating precious metals in their paintings and by creating elaborate and exquisite illuminated borders. An outstanding Imperial Mughal double-sided page from the reign of Shah Jahan depicts a Mughal courtier, painted by the leading artist Manohar, surrounded by a refined border with animals in gold, while the verso shows us an equally important border of enamel-like flowers. 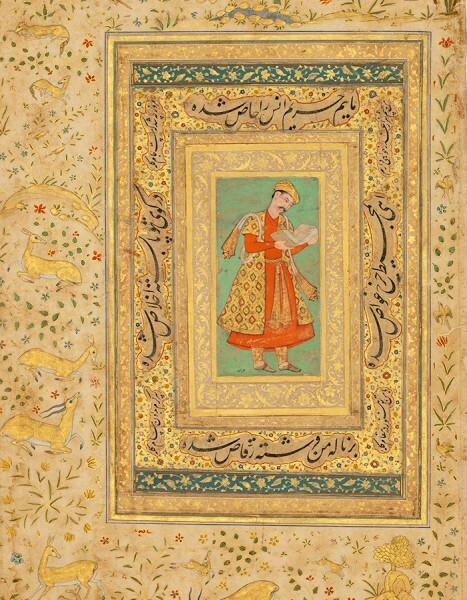 An important and dynamic leaf from the grand Hamzanama is testimony of a shining emperor, Akbar, who commissioned this magnum opus – perhaps the greatest Manuscript of the Mughal era. Light is reflected in exuberant or delicate ways in other works, either in a vivid and sensuous scene of ladies bathing in the moonlight; or in a royal portrait attributed to the artist Chokha with pearls recreated by impasto alluding to their precious milky reflections. A Company School album with more than eighty illustrations depicts the life of Indian nobility and other daily scenes, delicate and colourful portraits in a smooth and bright light. Bidri objects are inlaid with silver on dark zinc to great luminous effect. And early photography reflects the importance of the medium in India when it was a nascent art form, a practice that was seen as drawing with light. Duchamp, Man Ray, Schwarz: Photographs, Etc.